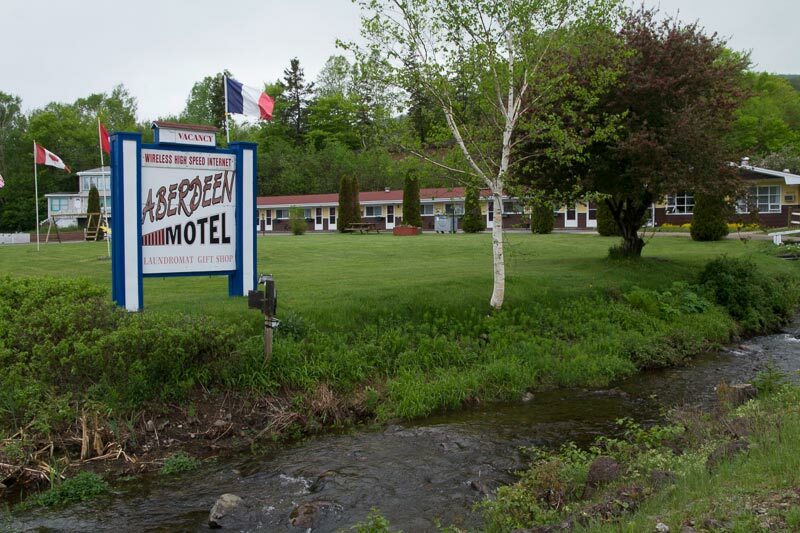 Overlooking the Bras d’Or Lakes, Canada’s only inland sea, the Aberdeen Motel is the gateway to the Cabot Trail on Cape Breton Island located outside the town of Whycocomagh. We are a family-operated motel and your ideal location to enjoy day trips throughout Cape Breton and northern Nova Scotia. We offer a children’s play area, picnic tables and a running brook on our property, with access to a sandy beach just across the highway. Other area activities include bird and wild life watching, hunting, fishing, water sports and snowmobiling. Golf packages are also available in cooperation with the Baddeck Fork Golf Club. We are in close proximity to the village of Baddeck, as well as other area attractions including the Cabot Trail, public wharf (2 km), golf course (35 km), hiking trails and the Cape Breton Highlands National Park (1 km). The bus terminal, restaurants, shops, stores, bank, gas stations and churches are nearby as well. Our motel also provides easy access to and from the Newfoundland ferries and is just one hour from the Sydney Airport. Our 15 units (Single, Double, Twin and Queen) are all air conditioned and feature 4-piece baths, satellite televisions, phones (free local calls), radio/wake up clocks, free high-speed Wi-Fi, coffeemakers, fridges and microwaves. We also provide a large parking area (separate free parking space for trailers, big trucks, machinery, etc. ), laundromat services, picnic tables and a gift shop. MasterCard, American Express, Visa are accepted. We are pleased to provide our services in English, French and German.